Some of the more common causes of a toenail turning black are centered on physical trauma. When a toe experiences trauma, either through repetitive motion or a single event, the nailbed can become bruised or blood can begin to pool between the nail and its bed (which is known as a subungual hematoma). Black toenails are frequently experienced by runners who train long distances. Darkened nails could also be an indication of a fungal infection. In rare cases, the dark coloration is the indication of malignant melanoma. Although this is not common, it can be quite serious, and is a good reason to always have discolored nails evaluated. Most subungual hematomas do not require much with regard to treatment. However, the condition can cause discomfort, so you may want to have the pool of blood safely drained. We can perform any care you need here at our Richardson, TX foot doctor office. Call Richardson Podiatry Associates at (972) 690-5374 for more information or to schedule an appointment. 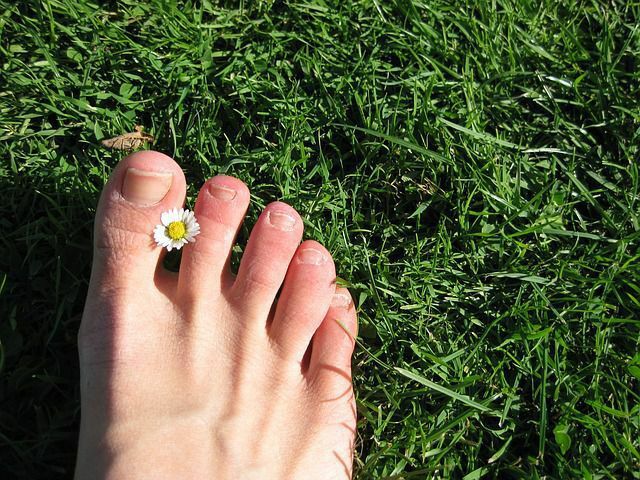 What Types of Allergies Affect Your Feet? Allergic reactions are responses by your body’s immune system to some sort of trigger. Many people are familiar with animal or food allergies, but do not realize that foot allergies exist until they begin to feel the symptoms of this particular problem. Contact dermatitis of the feet occurs when direct contact is made with substances like detergents, certain fabrics, latex, solvents, or poisonous plants. These irritants can all invoke allergies of the skin and lead to reactions that are uncomfortable or even painful. Angioedema is a skin disorder resulting in welts that are itchy and possibly painful. This condition is triggered by such substances as animal dander, insect bites, eggs, shellfish, berries, and pollen. If you live in the Richardson, TX area and have itchy or painful welts on your feet, schedule an appointment with Richardson Podiatry Associates today by calling (972) 690-5374. Come in and let Dr. Gene Reister determine if you have foot allergies and provide the medical attention you need. How do I Check Spots for Skin Cancer? Melanoma is the deadliest form of skin cancer and it can spread quickly, making it imperative to be caught and treated as early as possible. Knowing the warning signs and how to check for skin cancer is your best form of protection. First, make a point to do a whole body examination at least once a month, more often if your doctor recommends so. If you are unable to look at certain areas, enlist a friend or family member to help. It is not often that people take the time to examine their feet. For this reason, when melanoma is found on feet it is often at an aggressive stage. Keep in mind the ABCDE’s of melanoma: Asymmetry (one half looks different), Borders (irregular or scalloped), Color (has different shades), Diameter (greater than the size of a pencil eraser), and Evolving (the spot looks different or is changing). If you have any questions or concerns about a spot on your skin, do not wait to seek diagnosis and treatment. Contact Richardson Podiatry Associates to make an appointment with Dr. Gene Reister. You can reach our Richardson, TX, office by calling (972) 690-5374.